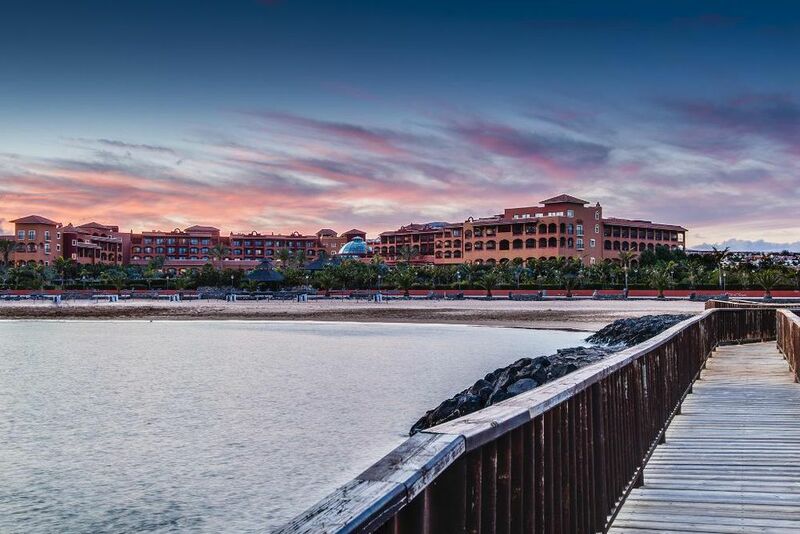 Nestled directly on the dreamy beach of Caleta de Fuste, the Sheraton Fuerteventura Beach, Golf & Spa Resort is the perfect place for exclusive holiday experiences because of its ideal location in the center of the east coast. 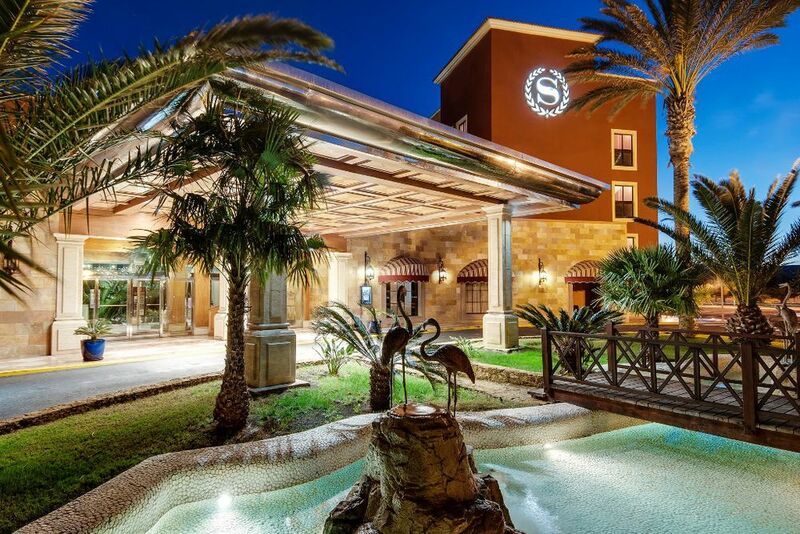 The resort is adjacent to an 18-hole golf course (free shuttle service to the golf course) and is within walking distance to the shopping center that is full of shops, bars and restaurants. 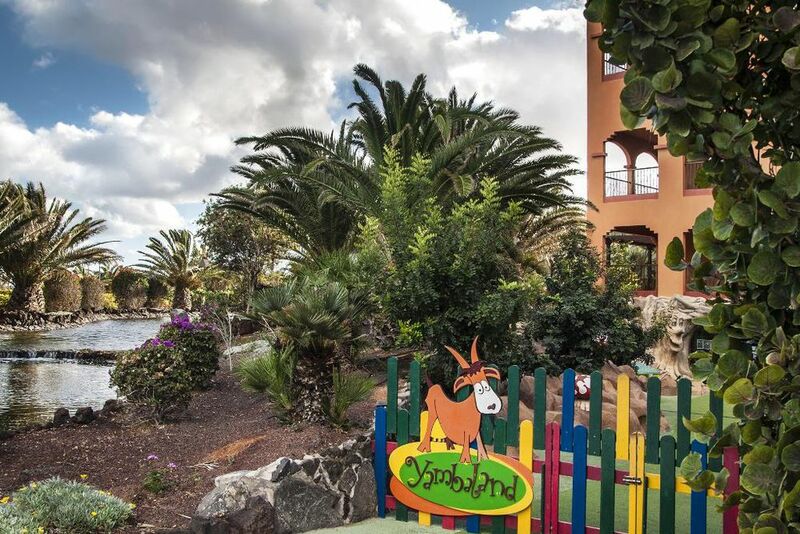 This hotel is characterized by its beautiful landscape, four first-class restaurants and a wide range of activities for children. 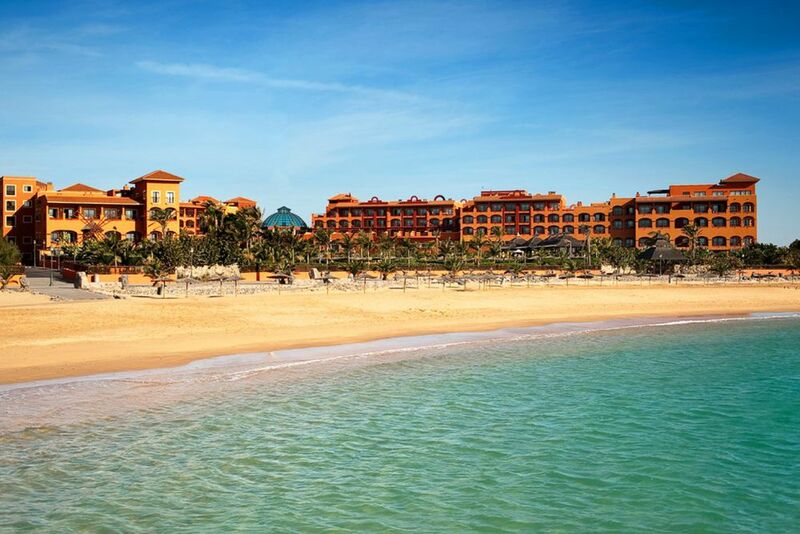 Fuerteventura Airport is around 10 minutes away. 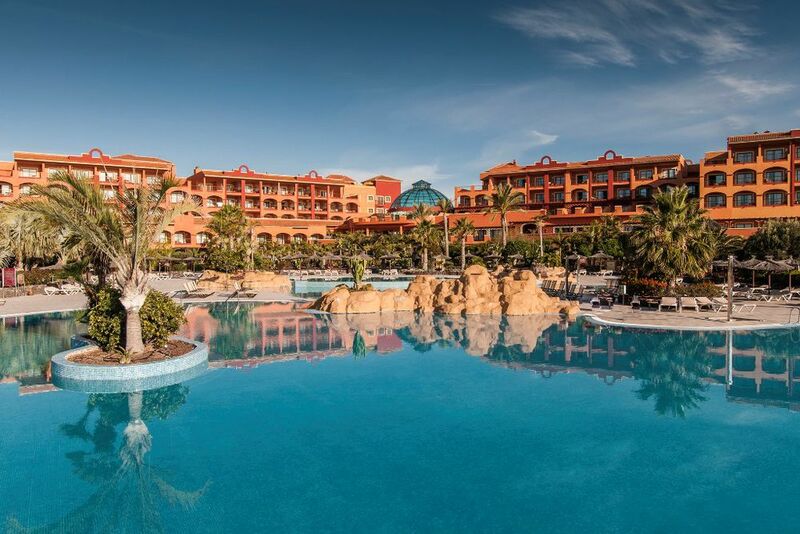 The resort has excellent facilities including its 266 rooms and suites, designed in elegant Canarian style with private terraces, a magnificent 1000 sqm spa, golf course and kid’s club. 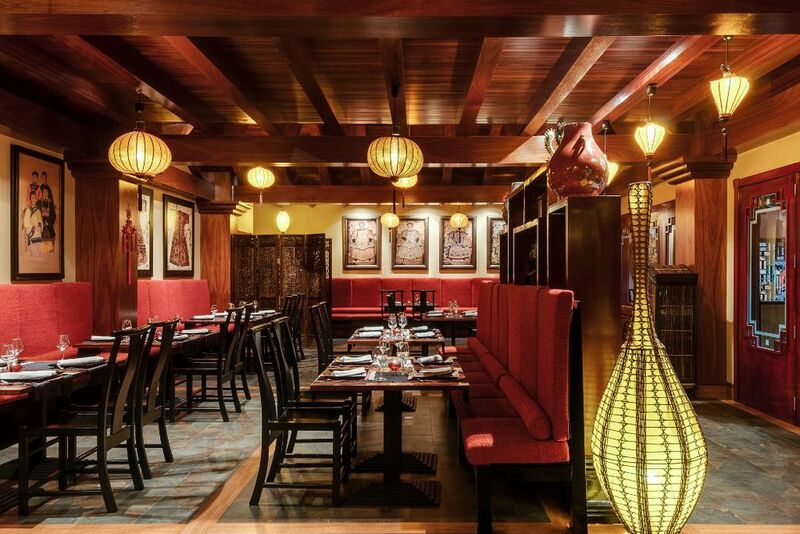 Enrich your stay in the hotel’s 4 tasty restaurants with refined local, Mediterranean or Asian cuisine, or relax with a refreshing cocktail in one of its 3 bars. Start your day at the main restaurant, Los Arcos, which is open for breakfast, lunch and dinner. 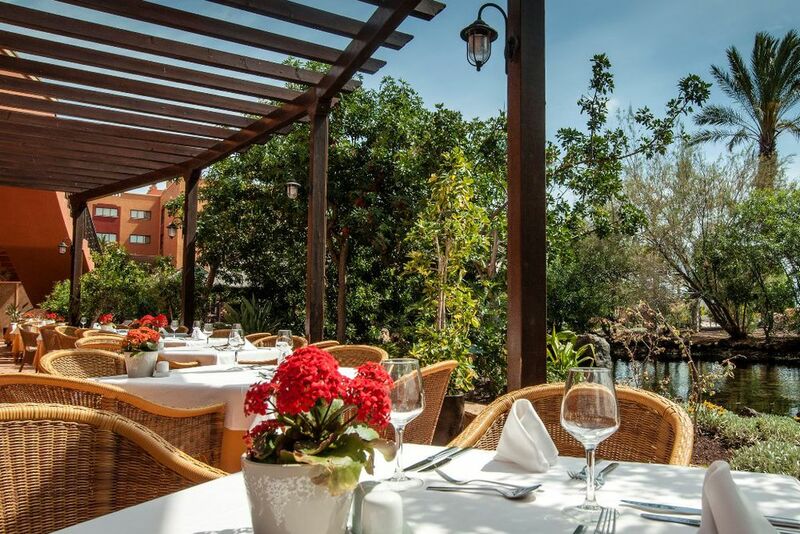 Savor Spanish and international dishes in this buffet restaurant with an elegant terrace overlooking the gardens. 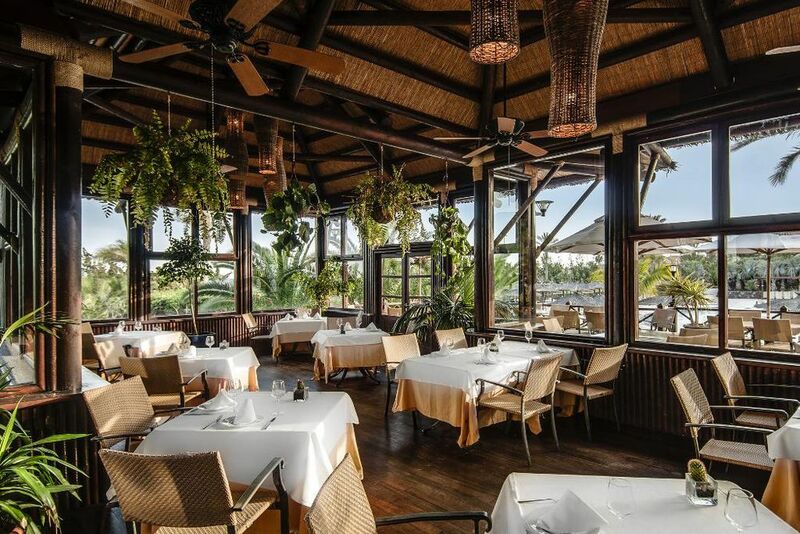 El Faro de Antigua is a traditional restaurant serving Mediterranean cuisine, which matches perfectly local and international dishes. Refresh by enjoying a delicious beverage accompanied by a light snack, or savor the finest Mediterranean cuisine in a relaxed and informal atmosphere by the pool and next to the beach at La Veranda. 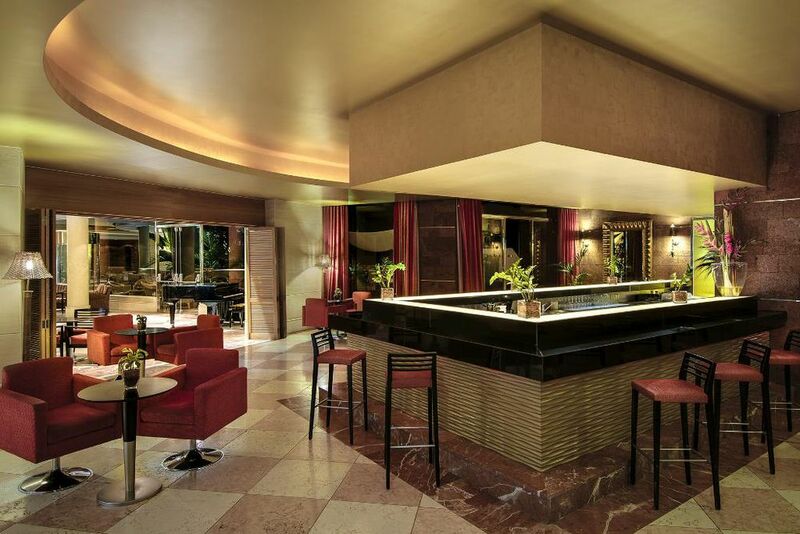 The Piano Lobby Bar, under the hotel’s majestic dome, is the ideal venue for a delicious cocktail or afternoon tea. 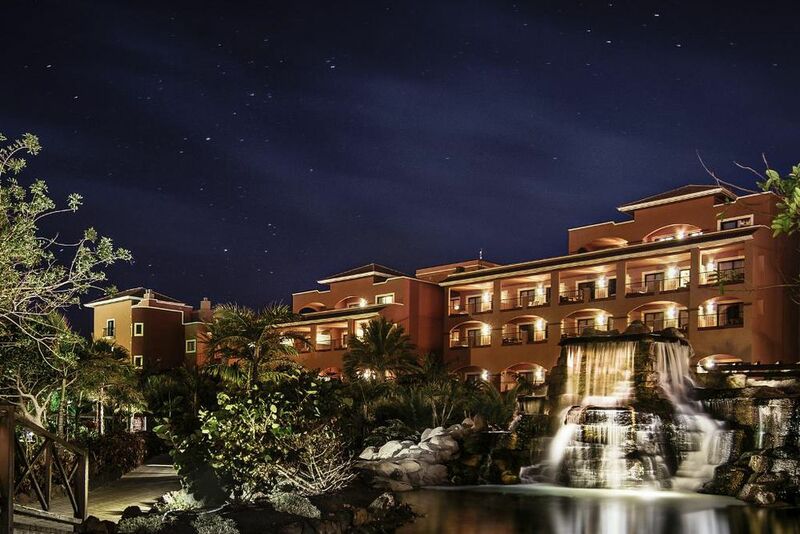 Guests who book a stay of seven days or more including half board or full board, will receive an à la carte dinner (please note the dress code in the evening in all the restaurants of the resort). 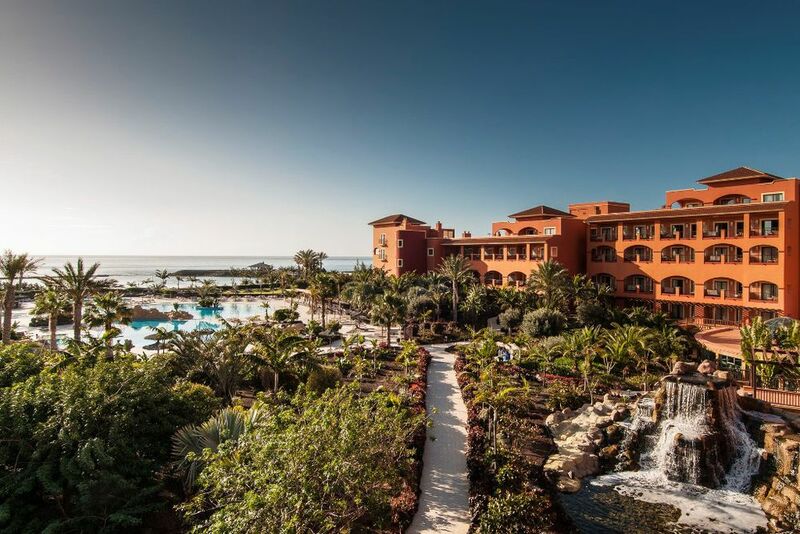 The resort has excellent facilities including its 266 rooms and suites, designed in elegant Canarian style with private terraces. Amenities include air conditioning, satellite TV, telephone, safe, minibar (extra charge) and bathroom. Double Premium Garden View (49 sqm) - These beautiful rooms include a terrace and direct access to the garden and pool. For a maximum of 2 adults and a child up to 12 years. Family Premium Garden View (49 sqm) - A standard double room with two extra beds. For a maximum of 2 adults and 2 children up to 12 years. 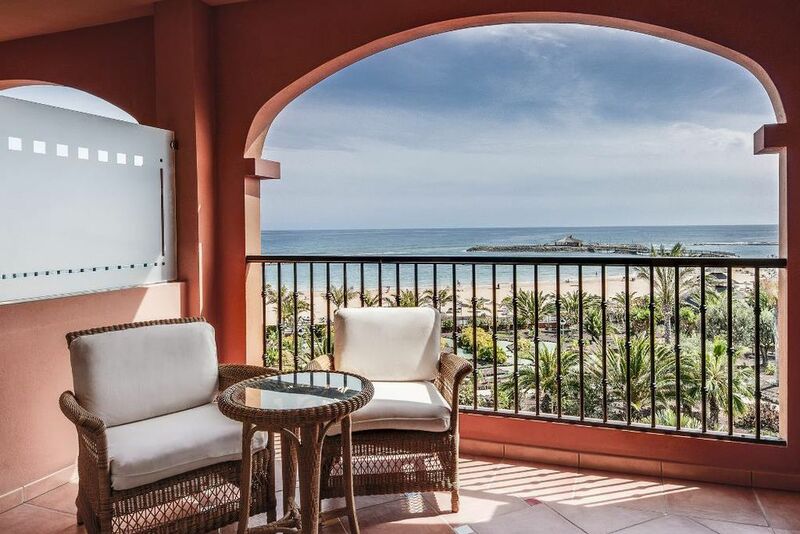 Double Deluxe Sea View (49 sqm)- The cozy rooms boast incredible sea views from the tranquil balconies. For a maximum of 2 adults and a child up to 12 years. 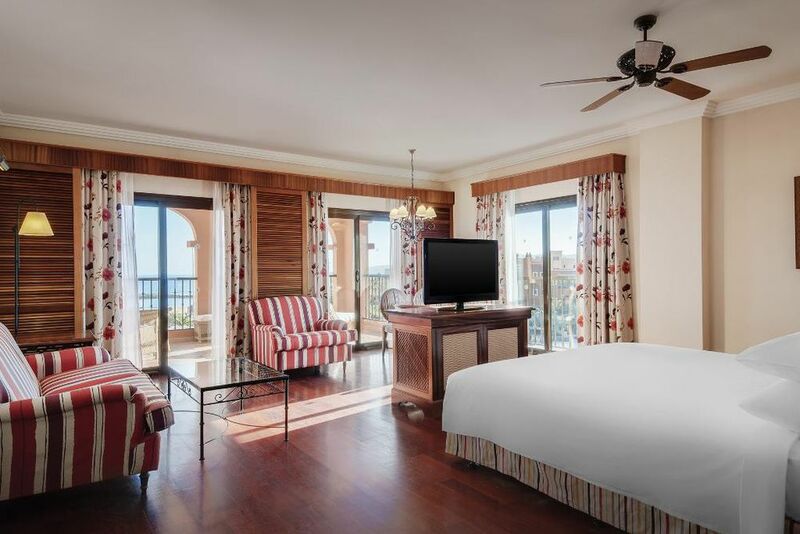 Junior Suite Premium Garden View (71 sqm)- The spacious suites have a combined living and sleeping area and a relaxing terrace or balcony with garden views. For a maximum of 2 adults and 2 children up to 12 years. 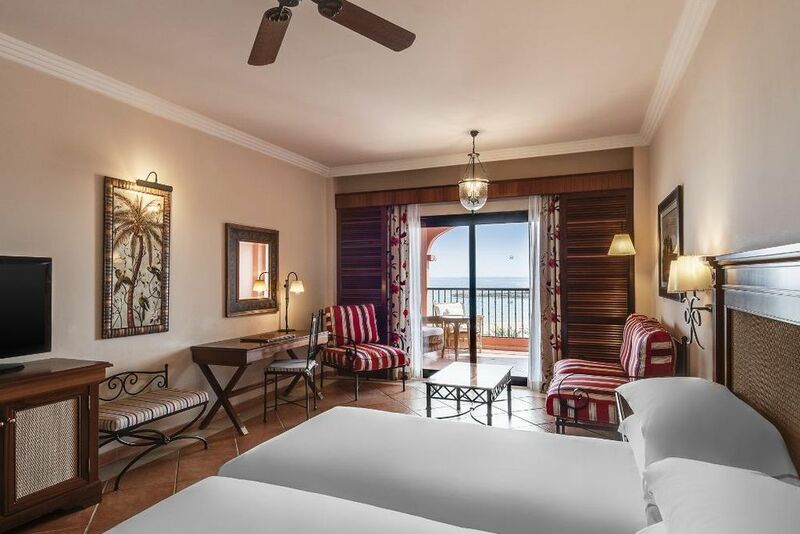 Junior Suite Sea View (71 sqm)- The spacious suites have a combined living and sleeping area and a relaxing terrace or balcony with sea views. For a maximum of 2 adults and 2 children up to 12 years. 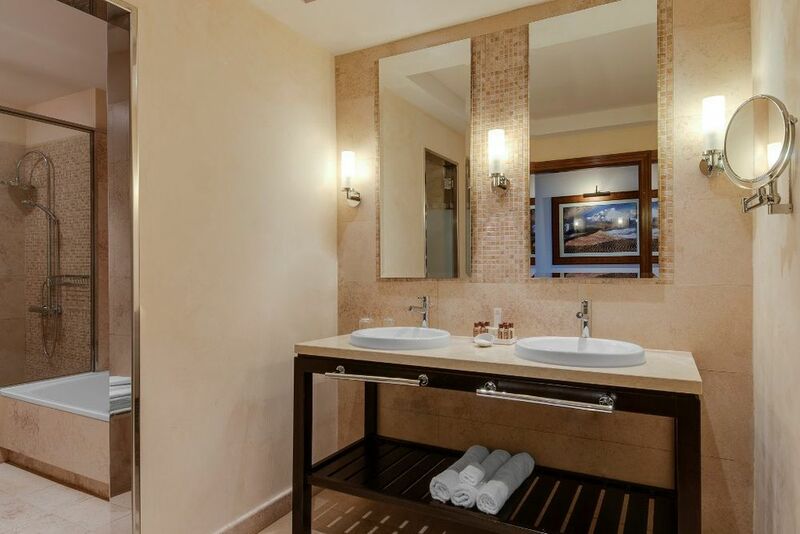 Prestige Family Sea View (98 sqm)- These suites have two double rooms with a connecting door. For a maximum of 4 adults and 4 children up to 12 years. 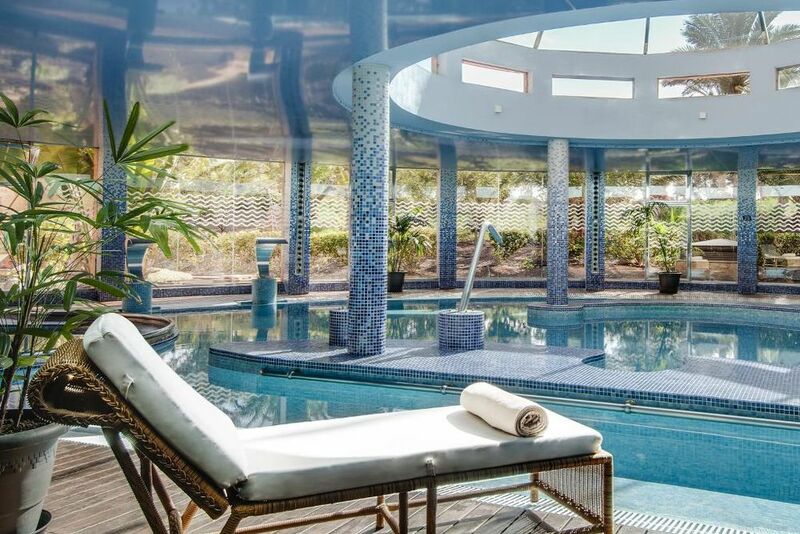 Immerse yourself in a world of sensations at Hesperides Thalasso Spa at Sheraton Fuerteventura Beach, Golf & Spa Resort. 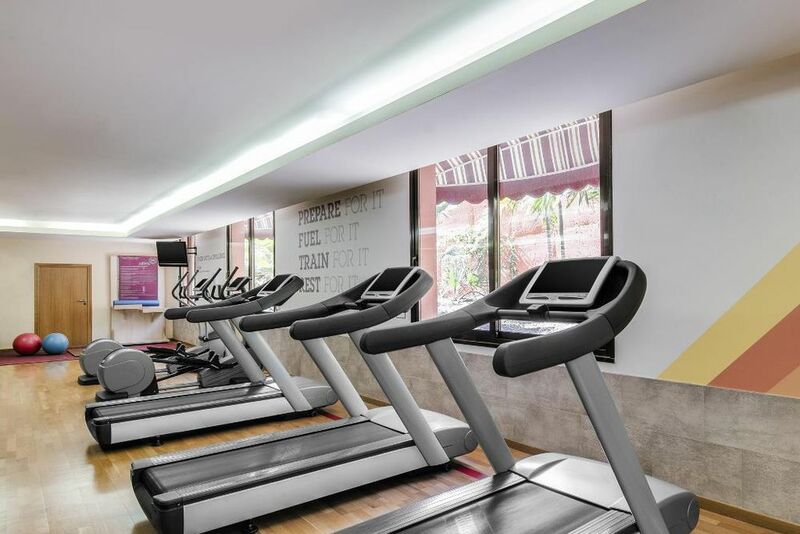 Enjoy all the benefits of the natural beauty of Fuerteventura on this amazing wellness center with more than 1,000 square meters of well-being facilities. 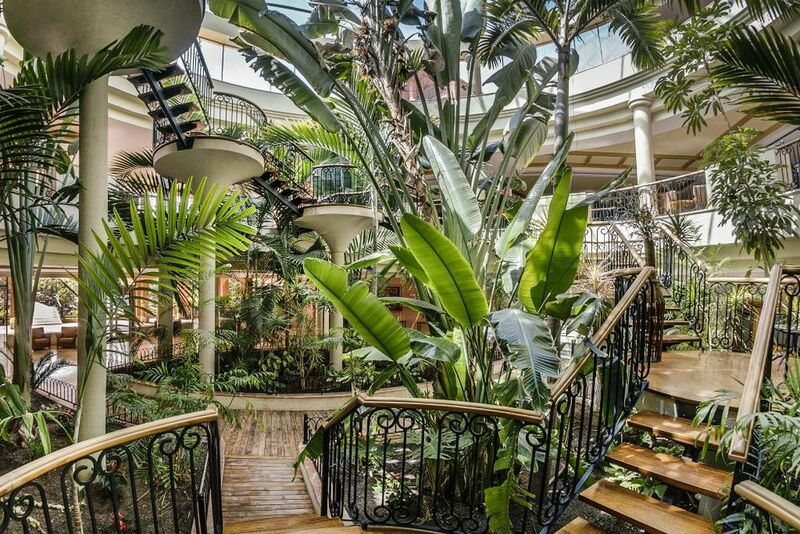 The spa offers a sauna, Turkish bath, Roman bath, ice pool, foot spa, pools and lifestyle showers.